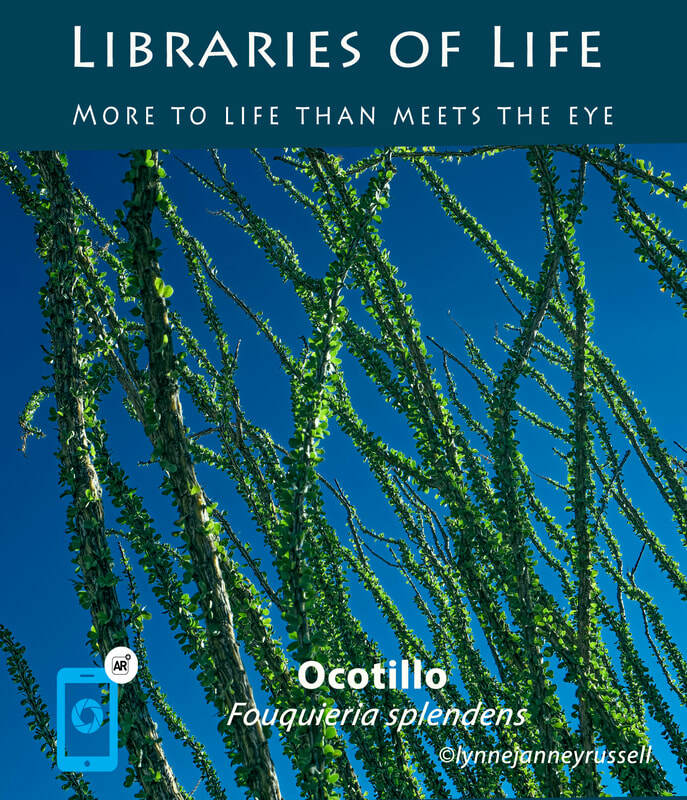 ​The Ocotillo is a tall spiny plant. Many people believe it is a cactus, but it is not. It is actually in a totally different family. They are related to the Boojum tree. People have many names for the Ocotillo, including candlewood and coachwhip. Ocotillo plants were used in many ways by people who lived in the southwest. Native Americans and ranchers used the dried stems to create fences. The spines were very effective at keeping critters out of vegetable gardens! Native Americans made tea out the ocotillo bark and flowers in order to treat swelling, cough, and sore muscles. The flowers and seeds were eaten raw. Ocotillo plants are very well adapted to living in the desert. Their leaves grow quickly after a rain, and then drop off after the ground dries up. This helps them grow when there is rain, but save energy when there is not. They also have very shallow roots, which help them collect the rain from the soil as soon as possible. An ocotillo plant can live for up to 60 years. Do you notice how the ocotillo flowers look like long, orange tubes? This makes them irresistible to hummingbirds, who are attracted to the bright orange flowers. There is a small amount of nectar deep down in the tube of the flower, and when the hummingbird sticks its beak in to collect the nectar, it gets pollen on its feathers. It then flies to the next ocotillo flower and brings the pollen there. This helps make ocotillo seeds. Ocotillo nectar is important for migrating hummingbirds, especially in dry years when other desert nectar-producing plants have few flowers.